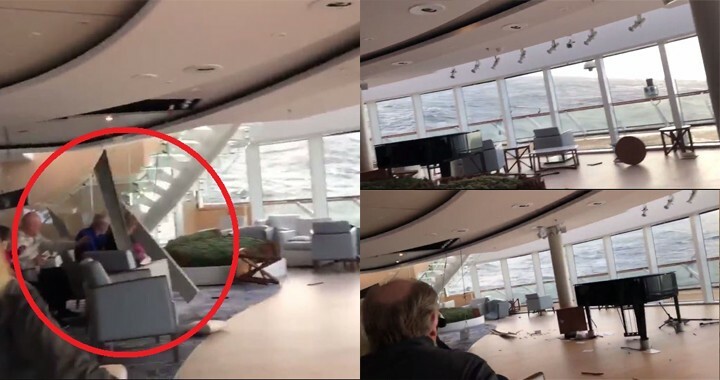 PASSENGERS have spoken of their terror as furniture was sent flying in a cruise ship after its engines cut out in storms off the west coast of Norway. Rescue helicopters are evacuating dozens of people from a luxury cruise ship that suffered engine failure on Saturday in stormy weather off the west coast of Norway. 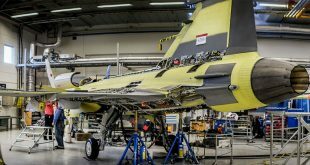 Eight of those evacuated had suffered light injuries. Water rushed into the cruise liner when the ship’s engines stopped. The crew was later able to restart one engine and the ship was at anchor about 1.5 miles from land. Only 87 people had been evacuated by 6 pm, and the rescue mission was set to continue throughout the night. At 7:20 pm local time, a cargo ship trying to reach the liner through the storm also experienced engine problems and sent a distress signal. Dramatic images and footage from inside the cruise ship showed passengers standing in rising water. Alexus Sheppard, from California, tweeted a video of furniture flying across the floor as they waited for the helicopter rescue. She told: “The ship went dark for a few minutes and rolled dramatically. It’s still rocking and rolling. It’s still a very slow process and most people are waiting [to be evacuated]. She said she’d been on board the cruise ship for nine days.